Tom Petty just scored his first ever number one album on the Billboard charts. Nobody listens to Tom Petty studio albums any more. This is a cruel and (semi-)unusual thing to say about (A) an artist I like very much and (B) an artist who has sold more between 60 and 80 million albums (accordingly to a Google search of the “Tom Petty has sold” abstract). However, I have a hunch that this is more-or-less the truth. The first is 1979’s Damn the Torpedoes. Popular music website Wikipedia says this album “built on the commercial success and critical acclaim of his two previous albums”. This is a fair comment. It featured the breakthrough single “Refugee” which itself featured a video of Petty wearing a denim jacket and rocking out (or trespassing) in a warehouse alongside the rest of the Heartbreakers. This stuff sold in pre-MTV America and one could suggest that Petty managed to perfectly straddle two distinct archetypes of the day: new wave dorkage such as the Cars and singer/songwriter dorkage such as Neil Young. I’m not saying he sounded like either/or but somehow, he managed to amalgamate rock and anti-rock in the late 1970s by being straight-forward. And yet, his music was completely commercial and he had interesting hair. These are only partial reasons why Damn the Torpedoes is important although at a scant nine tracks, it’s also very short. 1989’s Full Moon Fever is the second of two albums that “rise above” (in my mind) the rest of Petty’s discography. This is a Tom Petty solo album and Wikipedia makes another very astute observation: “The record shows Petty exploring his musical roots with nods to his influences”. I like how this comment is footnoted in Wikipedia; as if an editor is going to swoop in and refute it by suggesting that “Petty was actually resting on his laurels and potentially on cocaine when he wrote this piece of junk”. Anyway, the biggest hit on this album was “Free Fallin'” and that song featured a video with a memorable cast of characters including a snarling Robert Smith lookalike and assorted yuppie scum. Fast forward to 1993 and MCA releases Tom Petty and the Heartbreakers: Greatest Hits. 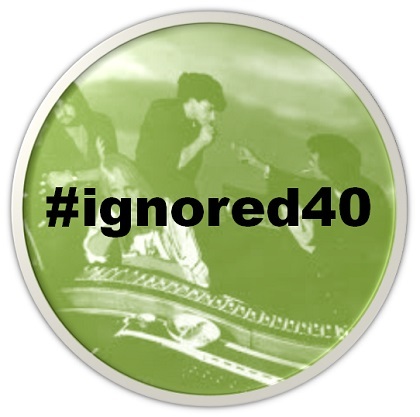 Every music fan born between 1976 and 1982 seems to own this album (along with Portishead’s Dummy, Oasis’ (What’s the Story) Morning Glory and the Trainspotting OST, for what it’s worth). 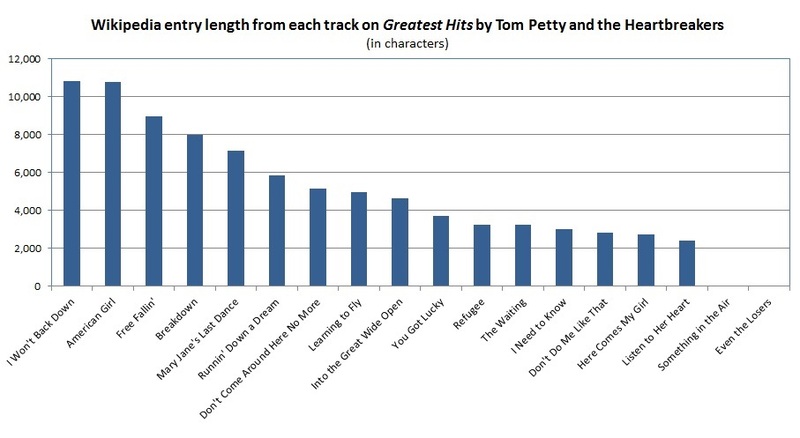 Greatest Hits has sold more than 10 million copies and to date, it is Petty’s top seller. Based on this hard fact, we can deduce that people love Tom Petty singles and (probably) love Tom Petty concerts but perhaps they’d prefer to focus on Tom Petty singles rather than Tom Petty studio albums. Even if you never owned them and/or hated them, these are all albums and album covers you’d likely recognize if you’ve spent any time in record stores or enjoyed snooping around your friends’ CD collection while they were in the bathroom or outside smoking. Anyway, it is my believe that Tom Petty and the Heartbreakers’ Greatest Hits cemented Petty as “a great singles artist” and while his subsequent full-lengths (either solo or with the Heartbreakers) have typically sold reasonably well, there tends not to be any sustained buzz or chatter about any of them beyond the year they were released. So let’s talk about Tom Petty and the Heartbreakers’ Greatest Hits even more, OK? Well put, G. Chance! Although are you talking about cassettes or CDs? Please advise. Greatest Hits runs 18 tracks and 65 minutes, which is kinda perfect. It’s long enough to make for a great listen while driving or working out. It’s also an unusually upbeat collection considering Petty has a ton of melancholy moments in his discography (and he “did” that style quite well). It also features the annoyingly-1990s trend of “exclusive bonus tracks!” which is has mercifully been rendered meaningless by the digital age. But still: “Mary Jane’s Last Dance” is still as awesome as it ever was and the Thunderclap Newman (who?!?) cover “Something in the Air” is totally fine. Footnote: Wo (sic) has sold more albums: Tom Petty or Eminem? from Yahoo! Answers. Worth a read.